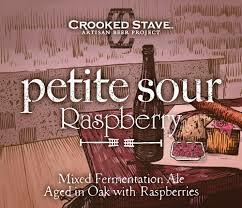 This is the beginning of Crooked Stave Artisan Beer Project. We are an artisan brewery in planning that is based in Denver, Colorado. Who are we? Well actually, we are just one person… For those of you who don’t already know me from the Brettanomyces Project let me introduce myself, I am Chad Yakobson and the Brettanomyces Project is an open source website which details the research and results from my Master’s dissertation on Brettanomyces yeast species. This brewing endeavor is a culmination of the knowledge and inspiration I have amassed during the past four years of living, studying, brewing and traveling abroad. It’s difficult for me to articulate the many experiences and ideas that have been born during this time into a precise summary. It is only through the beers which will be produce that I can best unveil the adventures I have been on and the bestowed inspirations. However, I continue to find great inspiration from previously studying winemaking in New Zealand, where I saw how a small country of passionate artisan winemakers produce “New World” wines of great quality through the dynamic use of their sparse micro-climates. Two years and five continents later, while studying a Master of Science in Brewing and Distilling at Heriot-Watt University and the International Centre for Brewing and Distilling in Edinburgh, Scotland I refined my brewing practices as I achieved an in-depth knowledge of the biochemistry and microbiology hidden in all aspects of brewing while garnering admiration for the engineering behind running a brewery. More so I would say it was during extensive travels throughout Australia, Asia, all of South America, and Africa where I really found inspiration for the use of unique ingredients which could be used in brewing just as they were being used by different cultures to create a plethora of exciting flavors. It is our mission to create ridiculously well crafted, expressive beer and our unconventional approach to brewing science and the artistry involved is how we will bring new creations into the world of beer.